2015 Metro Times Wine Store of the Year! If you've been paying attention you know that 'round these here parts we have a special affinity for the classic, complex, character-driven wines of the south of France and in particular the Côtes du Rhône. We have many favorites and we look forward to rolling all of them out in the coming weeks, but back in our Northwestern Highway days the late-summer arrival of the latest vintage of Domaine de l'Espigouette was an annual treat. Alas, however, somewhere along the way we lost touch. Perhaps it was the move to Royal Oak, a harsh word, or, you know, both of just wanting different things. More than likely it was probably just that the wine got caught up in some change of distributors, but whatever. The good news is that this prodigal son has returned, and in the form of the great 2015 vintage in that part of the world, he's looking better than ever. We invite you--no, we implore you--to come in this weekend to meet our old friend. Tom's note: "We used to sell this 15 years ago, it is a great estate. Classic Southern Rhone bouquet of dark cherries, violets, sweet Provencal herbs and cracked black pepper. Rich on the palate, lots of dark sweet cherries, lavender, thyme, with a peppery finish. It is delicious today and will age for another 8-10 years. A beautiful Côtes du Rhône!" Save 24% on a great summer variety case! We're back with a Cloverleaf favorite, our annual rite of spring, the 2017 Summer Whites Mixed Case! 10 of these 12 beauties are from Europe (France, Italy, Spain), with the others from California. The Summer Whites Mixed Case was designed as a grab-and-go supply of quality white wines for the busy spring and summer months ahead. For the beach, the boat, graduation parties and summer grilling, you'll always have a ready supply of high-quality, refreshing white wine on hand. There is tremendous value here too at just $8.25 a bottle on average. Saves you the time and hassle of having to run out for crappy, $12 grocery store wine! Get with the times! Tom's note: "The 2015 Said the Sky Merlot has pretty notes of sweet black cherry and cassis aromas with nice palate presence and concentration. Drinking beautifully today, with sweet black cherry fruit, hints of vanilla, soft smooth tannins, and dusty dark chocolate in the finish. Have it with a bevy of grilled meats and poultry." Tom's note: "The 2015 Foxglove Cabernet has a great dark ruby-purple color with notes of sweet blackberries, currants, and subtle baking spices. Rich, full mouth feel, soft tannins, very pretty flavors of dark berry, accented by hints of licorice and cedary oak. The finish is lingering and complex. This wine is better than many $25.00 Napa Valley Cabernets I have tried recently!" Tom's note: "This wine a was a wine club feature a few months ago. It is a tremendous wine from the historically great 2010 vintage. Imported by Kermit Lynch, this vintage received a 92 rating by Robert Parker. It has a dark ruby color, great aromas of black currant, kirsch, and a hint of toasty vanilla. Medium to full-bodied on the palate with nice texture and concentration. Rich chocolaty tannins with sweet ripe dark berry fruit and a long lingering finish. Great to drink now and over the next 15 years. 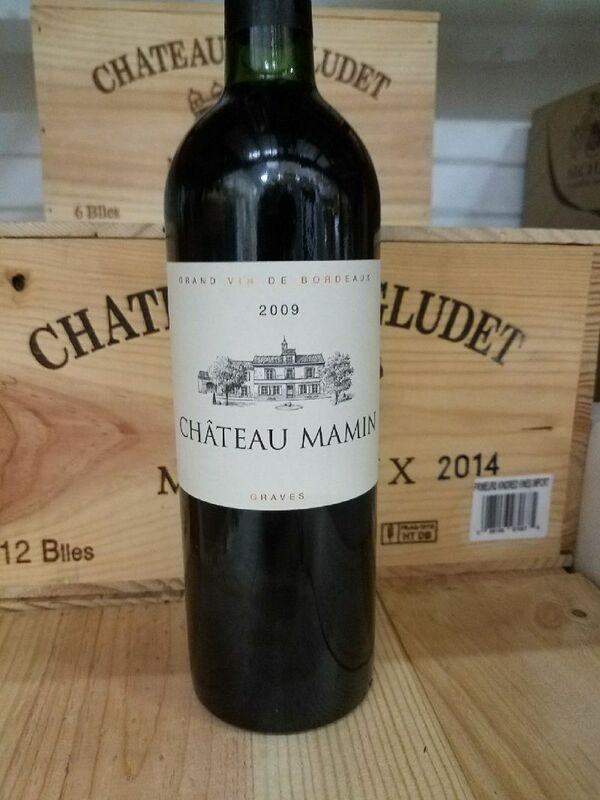 Like last weeks Ch Mamin, a great value for a terrific age worthy Bordeaux that is extremely enjoyable now." Tom's note: "100% Sauvignon Blance, and a sensational summer quaffer. Pretty bright pale straw in color, hints of gooseberry, lemon curd, minerals and saltly sea water. Super clean on the palate, with crisp citrus notes, great cleansing acidity, finishing with minerals and a subtle salinity. Delicious!" Tom's note: "The wine pours dark ruby with great notes of blackberries, cherries, licorice, cocoa powder and hints of vanilla. Nice texture and concentration on the palate, soft resolving tannins, really good dark berry fruit, and a long lush finish. A beautiful drinkable Bordeaux from a sensational vintage! It drinks great now and will for another decade." Tom's note: "I have been looking forward to taste the 2015 considering we always like this wine and 2015 is such a great vintage in Southern France. It does not disappoint. Beautiful aromas of violet, dark cherries, plum, cracked black pepper, slate and sweet Provencal herbs. It is medium to full-bodied, with nice concentration & texture on the palate and long cleansing mineral driven finish. It is a classic vintage with great dark cherry fruit, beautiful acid structure that bodes well for a 10-12 year lifespan." Tom's note: "Deep, dark ruby-purple color, classic Napa bouquet of cassis, blackberries, vanilla and roasted nuts. Lush on the palate, it has ripe forward fruit, great concentration and texture, and a long lingering smooth finish. This is a sensational Cabernet for under $40.00! Beautiful to drink today, and for the next 6-8 years." Tom's note: "This winery is in Corsica, and even though the island is under French government the people and the wines are more Italian. This blend is Sangiovese, Grenache, and Syrah. It reminds me of a nice Tuscan blend. Dried red cherries, tobacco, flowers and underbrush with sweet herbs on a medium-bodied frame. A delight to drink, it's acid balance makes it very versatile with food. A real fun find, it has never been available in Michigan before. Great now and over the next 2-4 years." Tom's note: "The wine is barrel fermented in neutral oak to retain its freshness. All of the grape varieties play their respective roles in the glass. Richness and tropical notes from the Chardonnay, beautiful floral complexity from the Viognier, and a bright acidity from the Marsanne. Super fun to drink, this is an extremely versatile white." Tom's note: "The red has great aromas of dark berry and dried cherry fruits with hints of tobacco and wild herbs. Soft and smooth on the palate, this wine works well by itself as well as a complement to most anything off the grill this summer." Tom's note: "A mix of red and white grapes, Garnacha, Niura, and Tempranillo. Medium pink-colored with a pretty nose of strawberry and rhubarb, on the palate this wine is dry, crisp, and delicious with a great clean and refreshing finish which begs for another taste." Tom's note: "From Signorello Vineyards in the Stags Leap Area of Napa, the 2014 Edge Cabernet has a beautiful dark ruby - purple color with loads of ripe black cassis fruit, toasted nuts, and vanilla. It is lush on the palate, with smooth ripe tannins and a long lingering finish. Great to drink now and will age easily for another 5-8 years. 91 points." Winemaker's note: "The bright color is pale gold with green hues. The nose is an amazing complexity: lychees, acacia flowers, ripe lemons. On the palate, this wine expresses its wealth. It is bright, fresh and very fruity, very fat with great length. Serve between 8 and 10 degrees Celcius. Great paired with fish, shellfish and asparagus. Tasting note from Robert Parker's Wine Advocate: "90 pts. The outstanding 2014 Tres Picos (Garnacha) is 100% Grenache and comes from some of their oldest Grenache vineyards on the slopes of the Moncayo Mountains. Yields are less than two tons of fruit per acre and this wine was aged in neutral French oak and stainless-steel tanks for ten months prior to bottling. It's a beautiful wine, with plenty of Southern Rhône-like black cherry liqueur, garrigue, pepper, licorice and spice. It is medium to full-bodied, lusty and heady. This is a beauty to drink over the next 2-3 years." Tom's note: "The Nuit Grave is a blend of syrah, grenache, and mourvedre. It has a great ruby purple color with beautiful aromatics of boysenberry, lavender, and thyme. The palate is silky, with good tart berry acidity, soft tannins, and lush black fruits. The wine has a really nice mouthfeel and balanced elegance. The winery is totally organic as well as biodynamic for all of those who have any sulfite issues. We have been promoting this winery since the 2002 vintage (13 years!)." 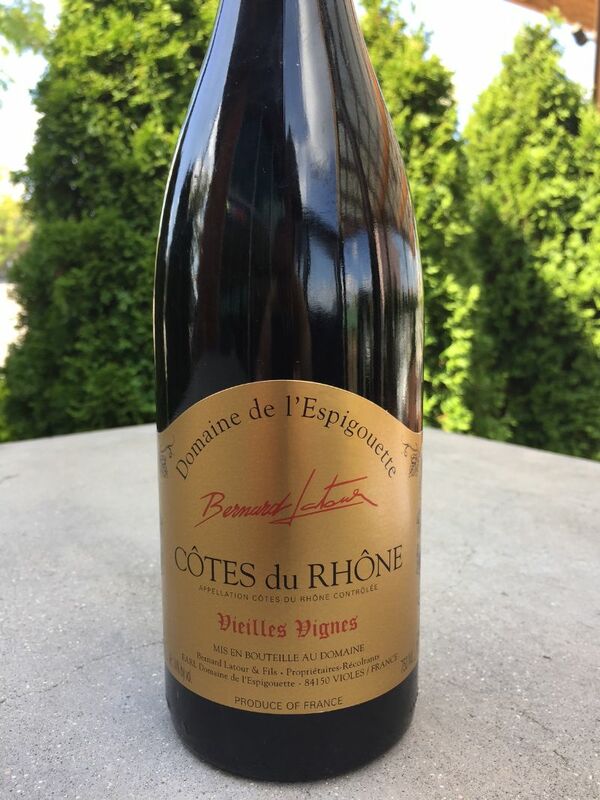 Tom's note: "This wine is everything you want from a Chateauneuf: dark ruby color and a great nose of rich dark cherry and berry fruits without any jamminess that sometimes plagues this region in great vintages. On the palate there are copious amounts of ripe dark cherry and blackberry notes complemented with black licorice, sweet Provencal herbs and a beautiful complex minerality that comes with the best wines of the region. I love this wine and when our next shipment comes in, I will buy some for myself to drink now and also cellar and follow for the next dozen or so years. I would rate this 94/100." Tom's note: "Dense, dark cherries, full-bodied, lush sweet herbs with a long, rich finish. Tastes like a $30 Riserva Chianti Classico. This is a GREAT WINE VALUE." Tom's note: "Damson plums, tart cherries, sweet Mediterranean herbs, medium bodied, with a great clean finish." Tom's note: "Deep bold plum, notes of fruit cocktail. Reminiscent of a nice Cru Beaujolais. Medium- to full-bodied, also with a nice clean finish." Tom's note: "The 2014 is just as sensational as the 2012. The grapes for this vintage come from the Russian River Valley in Northern California. It has the same rich, dark cherry fruit along with notes of tea leaves, baking spices and a soft lush mouthfeel in the finish. It is a great glass of Pinot Noir!" Tasting note from Robert Parker's Wine Advocate: "90 pts. The 2014 Pinot Noir Chimera comes from several Russian River sites and sees only 10% new oak. Its is a beautiful wine and Capiaux's biggest production item. It is a heck of a value for an outstanding Pinot Noir. Beautiful sassafras, pomegranate and black cherry notes intermixed with some damp earth and forest floor are all present in this wine, which also offers some baking spices and subtle background earth in its long, heady finish. Drink it over the next 3-4 years." Tom's note: "Bold dark berry fruits and toasty oak aromas, rich and powerful on the palate, with great concentrated black berry fruit (and 15.5% alcohol), sweet aged balsamic, vanilla and roasted nuts. Lush, with smooth, savory tannins, it reminds me of a $30-$40 Napa Valley Cabernet! It would be perfect with a charred ribeye." Wine Tasting note from Robert Parker's Wine Advocate: "91-93 pts. The jaw-dropper in the lineup was the quality of the 2015 Haut Cotes de Roussillon Villages les Vignes de Bila Haut. While the entry level wine from this estate, the quality here is incredible, especially at the price point. Made from 50% Grenache, 40% Syrah and 10% Carignan from a mix of the estate's terroirs, aged in concrete tanks and stainless steel, it offers a rich, concentrated and serious feel to go with fabulously pure notes of blackberries, black raspberries, crushed rock and melted licorice. Thick, unctuous and luxuriously textured, this will certainly be the greatest vintage of this cuvee to date. Stumbling on an 8-year-old Bordeaux! Inspiration comes in myriad ways. Cloverleaf's Tom Natoci, who by definition of his job tastes wine every day, and could literally be hammered drunk by 3 p.m. (he never is; you should see our spit bucket), happened upon this latest revelation as a paying customer while out to lunch, of all places. "This was a crazy find!" Tom exclaims. "I was having lunch at a restaurant in Birmingham last Sunday and was looking over the wine list for a glass to order. I spotted what I thought had to be a mistake in pricing. A 2009 Bordeaux from Graves (2009 was a fantastic vintage) for $12 a glass! Based on the pricing of the other wines on the list whose prices I knew, this was a steal! So I ordered the glass and it was fantastic! I asked the server to look at the bottle so I could find out the importer. When I saw the importer, I immediately knew who I could order it from. Later that afternoon I contacted my salesman regarding pricing and availability. They had the wine and the pricing was great." "Never interrupt the enemy when he is making a mistake." When it is lush and green and July in Michigan, we don't like to look back. Specifically to March, when it was gray and cold and barren. However, we would like to remind you of a great wine success that may have passed you by last March. If you were in our fabulous Wine Club (ahem, call for details), you would have a red wine from Corsica (smallish island off the coast of France, birthplace of Napoleon, look it up) that was making it's Michigan debut at Cloverleaf due to a shipping error. The guys tried it, found it to be delightful, and our supplier offered a crazy good deal to take it all off his hands, which of course we did. Well, the wine club people started coming back for seconds and thirds, and as word spread we had sold out in less than five weeks. So the wholesaler ordered more from France, but slow boats being, you know, slow, it did not arrive until this week. "This wine arrives just in time for the warm summer months," said our Tom Natoci. "It's a medium-bodied red wine, and if you put just a bit of a chill on it, to about 60 degrees, it can be very refreshing on a warm day and a good complement to lots of summer fare." Tasting note from Robert Parker's Wine Advocate: "Light straw in color with notes of poached pear, a honeyed citrus marmalade note and a medium body. This crisp, fresh, refreshing, surprisingly intense dry white should drink well for another year." Tasting note from Robert Parker's Wine Advocate: "94 pts. The 2015 Triton Tinta De Toro is a stunning wine from this relatively modest appellation and vineyard owned by Jorge Ordoñez and his partners. The wine, 100% Tinto de Toro, spent eight months sur lie in Burgundy and Bordeaux barrels. It is a killer example of Toro, which produces relatively full-throttle, intense wines from ungrafted vines. This beauty, inky purple in color, offers up notes of graphite, forest floor, blackberry and cassis in a full-bodied, pedal-to-the-metal, long, rich and concentrated style. At $20.00 it is a remarkable value and probably capable of lasting up to a decade, although there is no reason to defer your gratification. Tasting note from Robert Parker's Wine Advocate: "The 2013 Clos de los Siete, from a cool and late vintage, could very well be the freshest wine produced at this address so far. This blend from the different producers associated with the brand ended up being 53% Malbec, 23% Merlot, 12% Cabernet Sauvignon, 8% Syrah and 4% Petit Verdot from different vineyards in Vista Flores. Seventy percdent of the wine matured in French barriques for 11 months. There is a great sense of harmony, combining ripe fruit, flowers and spices in a subtle and elegant way. The palate is ultra polished, with very good balance and freshness, really easy to drink." Tom's note: "All the classic dark berry fruits you'd expect from a good California Cabernet Sauvignon, except it's from Argentina, and it's eight bucks! It's got great balance. It's a really delicious glass of wine that would normally sell for much more.